Lisa here with a partner update! The David A. Straz Jr. Center for the Performing Arts, is pleased to welcome Eric Dillner to their staff! Eric Dillner is the artistic/producing director of in-house productions. He will be handling events such as Opera Tampa productions, Jaeb Theater productions, and major productions in the Patel Conservatory. Eric has a long history of qualifications that made him a great fit for this Tampa Bay Entertainment. he has been the artistic and general director of Shreveport Opera, managing director of Skylight Opera Theatre, and artistic director of Longview Opera. In addition to all of the places he has worked for, he has also performed with many prestigious companies throughout the years. Some of them include New York City Opera, Chautauqua Opera, and Virginia Opera. He also has performed with several symphonies including the Milwaukee Symphony Orchestra and the Lake Charles Symphony; just to name a few. Dillner has extensive stage directing experience, and currently holds positions as a vocal instructor for V.O.I.C.Experience, the Intermezzo Young Artist Program, the REASONANZ Albany Singer Intensive Festival and has a private studio in New York City. Eric is frequently sought after as a master class presenter in New York City and has judged many competitions for different Opera companies. He also recently participated in the first Vocal Arts Festival at the Straz Center. Wow, that&apos;s a crazy list of credentials, and I didn&apos;t even name them all! 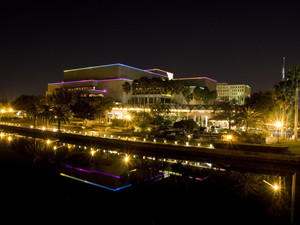 The Straz Center is so pleased to welcome this exciting addition to Arts and Culture in Tampa Bay. That&apos;s all for now Tampa, but keep checking in for more exciting Tampa Florida News!